There are no active watches, warnings or advisories for Markham, ON. EC forecast: A few clouds. 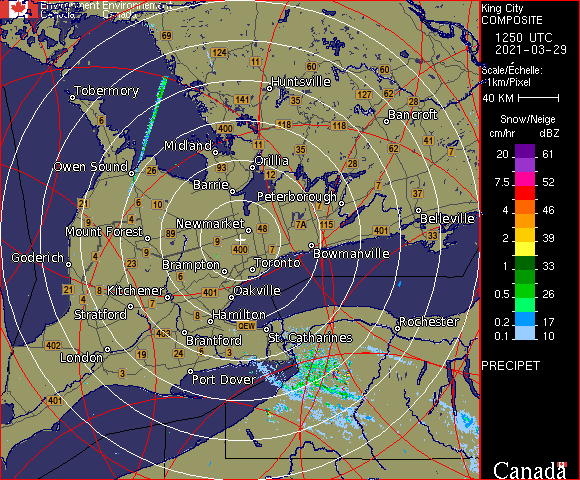 Wind northwest 20 km/h gusting to 40 becoming light early this evening. Low minus 1. Wind chill minus 6 overnight. EC forecast: Mainly sunny. High 17. UV index 7 or high.